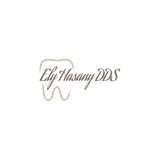 Ely Hasany, DDS Inc. (Woodland Hills) - Book Appointment Online! When you visit the Woodland Hills dental office of Dr. Hasany, your smile is our top priority. Our entire team is dedicated to providing you with the personalized, high quality dental care that you deserve. When you visit our office you will experience all that modern dentistry has to offer, including a comprehensive list of general, restorative and cosmetic dental services to meet the needs of the whole family. Our goal is to assist each patient in achieving and maintaining long term dental health and a beautiful smile. Ely was very kind, accommodating and efficient. I look forward to going back!